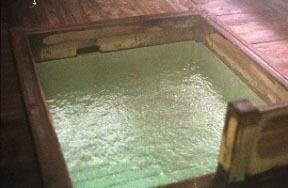 The hidden hot spring of a quiet historied mountain which wells ups to this Mine "Mt. Tengu" trailhead of the Mt. 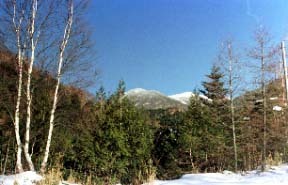 Yatsugatake northernmost part.There are also many mountaineers who aim at Mt. 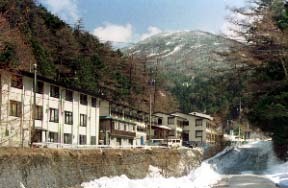 Yatsugatake this Mine traversing from here.Also close, mountain-climbing courses, such as Mine in front of Mt. 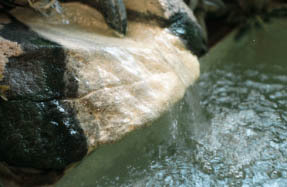 Yatsugatake, Maruyama, Nakayama, are also.the course in which the primeval forest from the Takamiishi to the Shirokoma pond is enjoyed also goes once -- valuable -- it is .A hot spring is a below hot enough spring of the sour hydrogen sulfide spring where the mineral-rich sediment of pure white sulfur deposits.It is the noted spring which it was moderately tepid, and the nagayu was completed and was used for medical treatment from Shingen Takeda's ancient times.Especially in the longevity hot spring of a Shibugotenyu, the foam of hydrogen sulfide wells ups in large numbers from a bottom by a spring out underneath.So, the hole of degassing is also prepared. In a Takamiishi and its back, 2496 m of Mine in front of Mt. 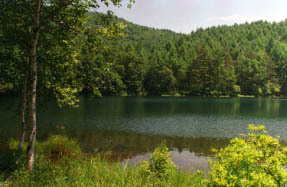 Yatsugatake "Nakayama" and its left-hand skirt are the Shirokoma ponds to the okutateshina area deepest part, a left-hand Shibugotenyu, and a center.